Atuejide born in Lagos, hails from Ukehe, Igbo Etiti LGA of Enugu State. 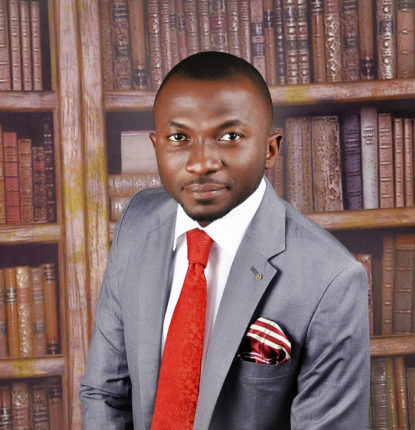 Atuejide holds multiple tertiary qualifications in law, business administration, and languages. She is qualified to practice law in Nigeria and the UK. Atuejide has so far studied, worked, lived in, and/or visited more than 70 countries, and can speak at least six different Nigerian and international languages. 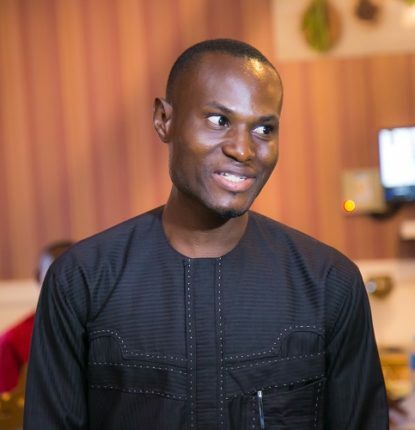 Atuejide’s formal education and experiences relating with different people and cultures around the world greatly informed the decision to form NIP; the implementation process that birthed NIP as the world’s first online political party; and the design of the web presentation of the platform. Atuejide is also the C.E.O. of EB Consults Ltd, a company which helps clients worldwide conceptualise, develop, and maintain complex web presence, and which connects lucrative projects with investors and lenders across the globe. Audu hails from Etsako West LGA of Edo State. Audu completed his Bachelor of Laws degree at the Ambrose Ali University, Edo State in 2014. Audu joined the 2015/2016 set at the Nigerian Law School to undertake the compulsory one year professional training course required to enrol and practice law in Nigeria. He was called to the Nigerian bar in 2016, after which he completed his one year of service with the Securities and Exchange Commission in Abuja. Ezeobika hails from Aguata LGA in Anambra State. 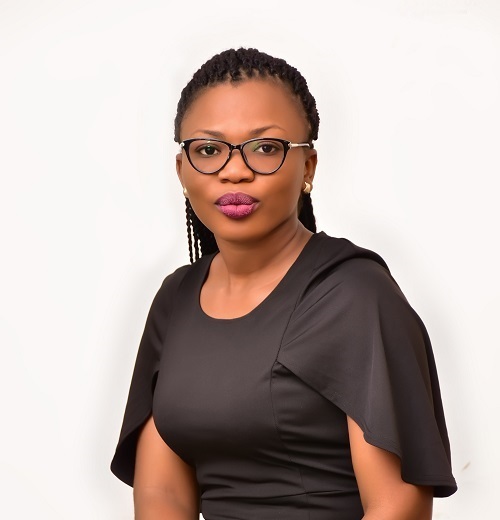 She graduated with a Bachelor of Laws from the Nnamdi Azikiwe University in Awka, Anambra State in 2015 and immediately moved on to the Nigerian Law School to undertake the compulsory one year professional training program required for legal practice in Nigeria. Ezeobika was called to the Nigerian bar in 2016, after which she completed her one year of service at the law firm of Akinboro & Co. in Abuja. Nwankwo is from Umuneochi LGA of Abia State. 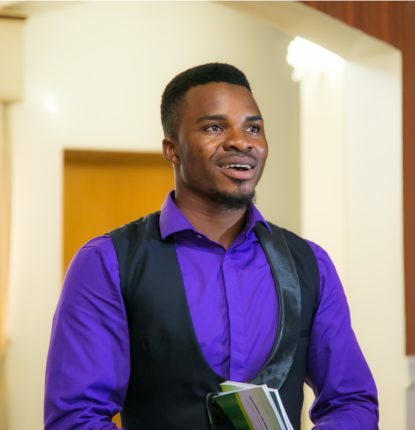 Nwankwor completed his Bachelor of Laws degree at University of Ghana in 2015 and immediately joined the 2015/2016 set at the Nigerian Law School to undertake the compulsory one year professional training course required to enrol and practice law in Nigeria. He was called to the Nigerian bar in 2016, after which he completed his one year of service with Marcel Oru and Co. in Abuja. Prior to returning to Nigeria, he interned with Oando Oil Ghana and currently practices with Masterson Solicitors in Portharcourt, Rivers State. Babatunde hails from Ifedore LGA of Ondo State. He holds a National Diploma in Accounting from Osun State College of Technology Esa Oke; a first degree in Business Administration from Adekunle Ajasin University Akungba Akoko, Ondo State; and a Master’s in Business Administration from Obafemi Awolowo University Ile-Ife, Osun State. Having worked at several companies and charitable organisations spread across the entire length and breadth of the country, Babatunde is highly experienced in the fields of sales, marketing and management of small and medium enterprises. Dr. Adeyemi hails from Ila Orangu LGA of Osun State. 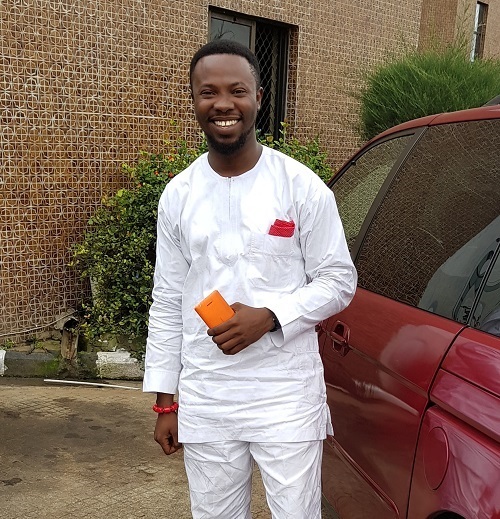 A medical practitioner per excellence, Adeyemi bagged his Bachelor of Medicine and Surgery (MBBS) at the Ladoke Akintola University if Technology, Osun State in February 2015. 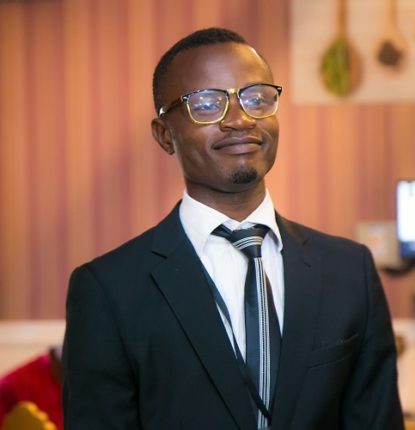 Prior to pursuing his Masters in Public Health (Environmental Health Concentration) and Graduate Certificate in Epidemiology at the University of Illinois in Springfield, USA, Adeyemi invested a lot of time working at several hospitals and community health care centres around the country. He is an avid volunteer to community health initiative all across the country. Adeyemi holds several certifications in both medical and non-medicine related fields of expertise. Audu is a native of Otukpo LGA in Benue State. He studied for his first degree in law at the University of Bedfordshire, in the United Kingdom, which he completed in 2011. He undertook his LLM at the University of Hertfordshire, also in the United Kingdom and graduated in 2012. 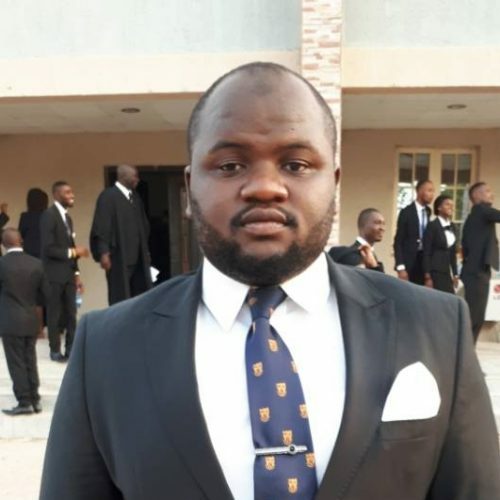 Having worked in various capacities at University communities in the UK, Audu returned in 2015 to Nigeria to undertake the Bar Professional Training program at the Nigerian Law School. He was called to the Nigerian Bar in 2016 and has since worked at various law firms including K. T. Turaki (SAN) & Co., Abuja; Ibrahim Kenny Salihu & Co., Kaduna; and LYNKS Solicitors, Abuja. Malami	hails from Taura LGA of Jigawa State. Malami bagged his bachelor degree in Agricultural Economics from Abubakar Tafawa Balewa University in Bauchi State in 2012. He served his NYSC year at the Kano State Ministry of Agriculture and Natural Resources, from where he went on to work with the Northern Nigeria Flour Mills in Kano. He has since served as personal assistant to various members of his family and clan in their public roles as Ministers or legislators in Nigeria. Okpako	is from Yala LGA or Cross River State. Okpako graduated with a Bachelor degree in Social Work from the University of Calabar, Cross River State in 2014. Prior to and following his completing formal education, Okpako was deeply involved with community service and development programs. Consistently engaging with young people in Cross River State, proffering solutions to daily struggles, teaming up with charities and agencies that seek to bring relief to the downtrodden. Chaka Nweze hails from Ohaozara LGA in Ebonyi State. 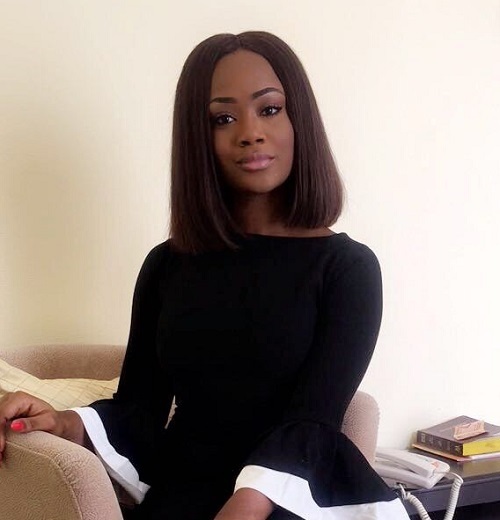 She graduated with a Bachelor of Laws at the University of Manchester, United Kingdom in 2015 and immediately returned to Nigerian to join the 2015/2016 set at the Nigerian Law School for the compulsory Bar Professional Training Program required for legal practice in Nigeria. 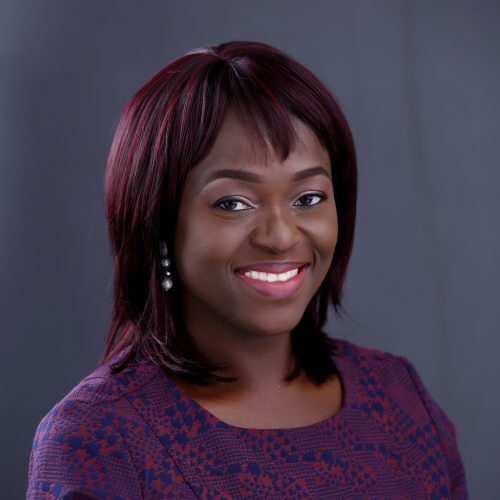 Chaka Nweze was called to the Nigerian bar in 2016, after which she completed her one year of service at the law firm of Awa U. Kalu (SAN) & Associates in Abuja. Chaka Nweze volunteers with the Bwari Child Foundation and the Sickle Cell Anaemia Research Foundation. Thompson hails from Asari Toru LGA of Rivers State. In 2008 Thompson bagged a Bachelor of Arts degree in English Language, from the University of Waterloo, Ontario Canada. 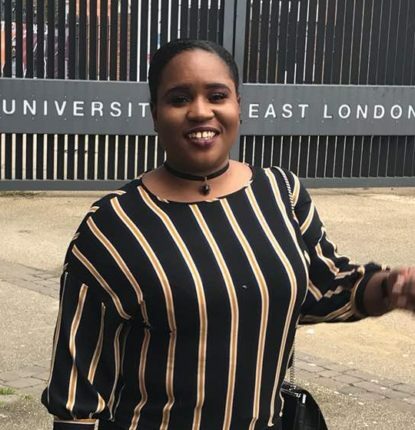 She added and LLB (Hons) in Law at the University of Sussex in the United Kingdom in 2015 and immediately moved back to Nigeria to join the 2015/2016 set at the Nigerian Law School to complete the compulsory Bar Professional Training Program required for legal practice in Nigeria. Thompson amassed experience in various aspects of law working with Principles Law Partnership in Abuja, Aguma & Co, Legal Practitioners, Trainers, Mediators and Conciliators, and Dikko & Mahmoud Solicitors & Advocates before returning to the UK to complete her LLM in Human Rights, at the Queen Mary University of London, United Kingdom. Janet Jabo is a business woman from Eggan LGA of Nasarawa State. Aminu Nuhu Shittu is a graduate of law from Kaduna North LGA of Kaduna State. Bashiru Ismail Babatunde is a graduate of Computer Science from the Ijebu-Ode Local Government of Ogun State. He is a Full Stack Web Developer, Creative Designer and Entrepreneur. Bashiru specializes in building websites, web applications and creating digital/print Identity for brands. He has also developed Software Solutions for businesses. Abdulzayid hails from Balanga LGA of Gombe state. He holds a bachelor degree in Statistics from the prestigious university of Ahmadu Bello University, Zaria alongside certificates in other computer information technology and currently undergoing his post graduate program in Accounting and Finance ABU Zaria. Abdulzayid is a Humanitarian and the Co founder of Child support initiative foundation (CSI Foundation). His cosmopolitan lifestyle makes him understand and have good rapport with the youths nationwide. Chilaka is a Youth and human development mentor with Sports Intermediary Certificate. He is the Co-owner of Grand Combat Sports world and Chykap International Football Academy Lagos Nigeria, a youth development NGO focusing on Nigerian young talents. Chilaka is above all a Cryptocurrency and Bitcoin Expert and belongs to a team of German/ Swiss Experts that developed a cryptocurrency called the konios coin (KON). His technical expertise is no coincidence , as confirmed by his bachelor´s degree in Mathematics and Computer Science. With multiple international years of IT and digital Experience as a certified Microsoft, Apple and Linux Engineer. Chilaka is currently completing a Masters Degree in Digital Currency and Blockchain Technology Strategy at Oxford University London and The University of Nicosia Cyprus respectively. She hails from Ekiti East Local Government. Ekiti State. She has a BSc in Civil engineering from Federal University of Technology, Akure. -	Worked with Sageto Construction Company in Lagos. -	Worked with Gilmor Engineering Nig limited Abuja. -	Worked with Alora Engineering Company. Abuja -	Founder of ADENIKE CHARITY FOUNDATION -	C.E.O of NIAKK International Business Limited, Illinois Chicago & Nigeria. -	C.E.O of NHH Solution Limited, Nigeria. -	C.E.O of NIAD Construction Limited, Nigeria. 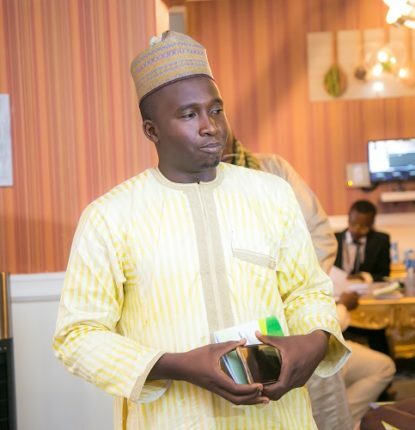 Jamil bags a degree in Biochemistry from the prestigious Ahmadu bello university Zaria. He hails from Taraba state north eastern Nigeria and is the first child in a family of six, Jamil's hobbies include light reading, walking and he's also a lover of sports. Fahad Zayyad Rafindadi is an indigene of Katsina local government, Katsina state. 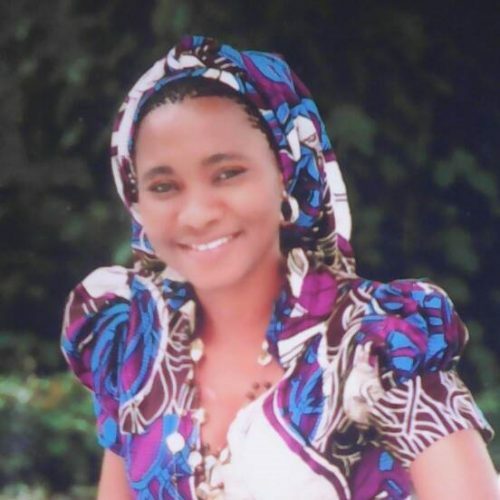 A graduate of Computer Science from Ahmadu Bello University, Zaria. He was a lecturer of computer science at the Aminu Kano College of Islamic and Legal Studies during his NYSC year. A passionate youth with a view to positively impacting the lives of the Nigerian youth. A sole believer of true governance and national development. I am Tobins Otomo. I hail from Bukuma, in Degema Local Government Area of Rivers state. 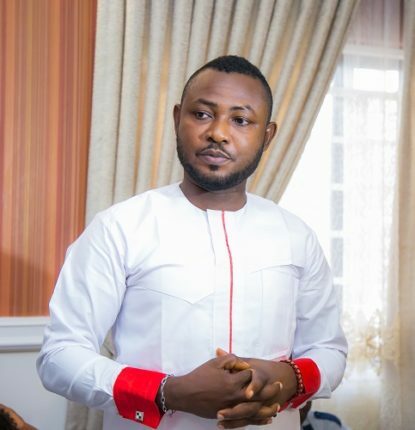 I have a Bachellor of Arts degree in History and International Studies, class of 2008 from the famous Imo State University, Owerri. I am a renowned diplomat with consciousness of history. Tony Is a licensed Financial Adviser with EUNISURE LTD. After Studying Finance at University, Tony’s first Business venture was in Financial Services followed by 15 years as a Property Investor and Estate Agent. He has conducted his trademark “Wealth Seminar” in Europe, USA , Ghana and Nigeria.